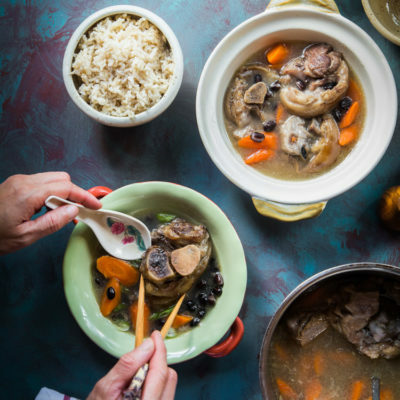 Super tender pork hocks and black bean cooked in a soup that gives you that rich amazing flavor. Our kids are digging the tender fall-off the bone meat! Can be cooked in pressure cooker, slow cooker or stove top.